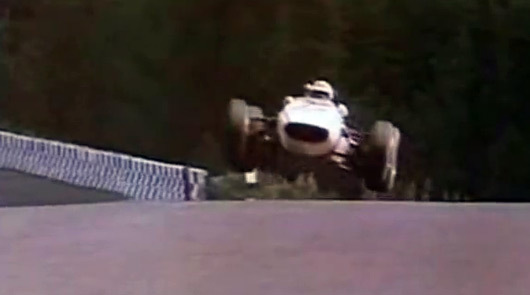 Way back when AUSringers started we featured some clips on the 1967 German Grand Prix. Let’s take another look at that race in this six-minute video that really takes us back to a time when the track was barely recognisable as the Nordschleife we know and cherish today. Also unrecognisable is a podium featuring an Aussie and two Kiwis! 1967 was the pinnacle. The last year before aero. Awesome link. Thanks for sharing.